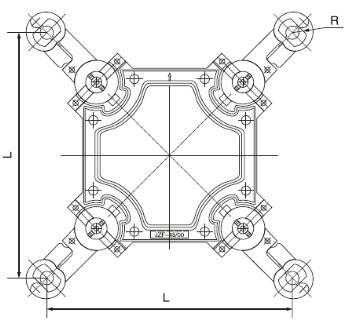 Product categories of Spacer-Dampers, we are specialized manufacturers from China, Spacer Dampers, Octagonal Spacer Damper suppliers/factory, wholesale high-quality products of Square Frame Spacer Dampers R & D and manufacturing, we have the perfect after-sales service and technical support. Look forward to your cooperation! Spacer Damper combines the function of a spacer in maintaining conductor separation and the function of a damper in controlling aeolian vibration and oscillation. The viscoelastic bushings firmly grip the ACSS or ACSS/TW conductor while eliminating possible fatigue breaks of the fully annealed aluminum strands. The product is rated for operation up to 250°C. 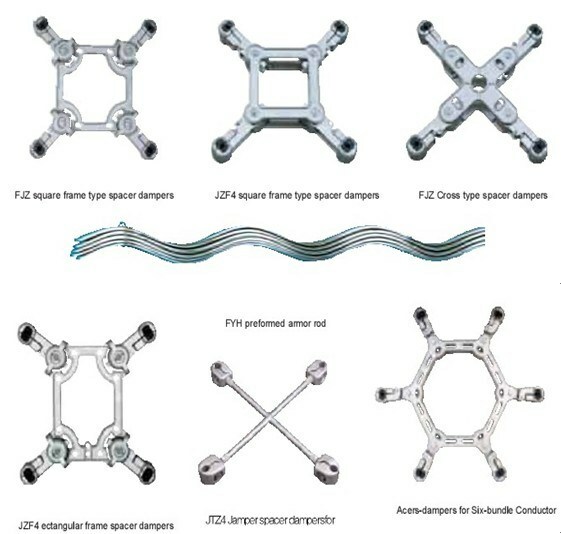 AFL has developed spacer damper designs to meet various bundle configurations and installation requirements.